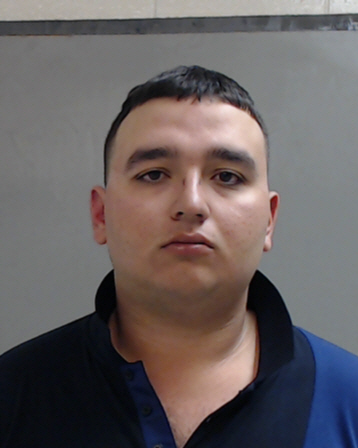 McALLEN — A 19-year-old man accused of striking and killing a pedestrian with his vehicle early Saturday morning told police he paid a nightclub employee $40 to allow him to consume alcohol. Jorge Luis Garcia, of Mission, was arrested on charges of intoxication manslaughter and accident involving death after police say he fatally struck a pedestrian with his truck early Saturday in the city’s downtown. McAllen Municipal Judge Ernie Aliseda issued Garcia a combined $75,000 cash bond on the second-degree felony charges. Garcia is accused of fatally striking Marco Antonio Ortiz, 38, of Harlingen, shortly before 2 a.m. Saturday as Ortiz was crossing South Bicentennial Boulevard and Beaumont Avenue, just south of the federal court building. Ortiz was just steps behind his sister and friend when a red Chevrolet pickup truck “traveling at a high rate of speed” hit him, according to charging documents released by the McAllen Municipal Court Monday. The driver, later identified as Garcia, fled the scene but was apprehended minutes later by police, who spotted the truck traveling west on the Expressway 83 Frontage Road near the Palms Crossing shopping center. Garcia “had slurred speech, unsteady balance and red eyes” and smelled strongly of alcohol, the documents stated, and the front of his truck was visibly damaged. The club, which is located on South 17th Street, was closed Monday and the owner could not be reached for comment. Garcia’s attorney, Carlos A. Garcia, did not return a request for comment. Garcia’s passenger, identified in the documents as his 19-year-old girlfriend Ana Patricia Galvan, was also arrested on a public intoxication charge, a Class C misdemeanor. She told police she had been drinking and displayed multiple signs of intoxication, including slurred speech, unsteady balance and bloodshot eyes. Garcia was released from county jail on Sunday.